Writing with emotion can be hard. Really hard. Especially when it’s on a subject that’s technical. I’m speaking from experience. You see, I recently launched an ebook about keeping WordPress sites more secure, and I asked my friend James Chartrand of Men with Pens if I might be able to write a guest post to try and spread the word. “Um, it’s WordPress security enhancements.” I think I may have said that out loud. Now how the heck am I supposed to tell an emotional story about setting up a WordPress Firewall? I’ll tell you though, it can be done. The story just needs to be told in the right way. It can’t only focus on implementation. After all, the implementation and the “how to” are covered in the ebook. To write with emotion about WordPress security, I had to get to the Why. And whys can be very emotional. I’m not a copywriter, nor am I the world’s greatest storyteller. I’m just a guy who knows a thing or two about how to keep your blog safe at night while you sleep. I know what it’s like to wake up one morning with a nightmare you never knew you had. My wife and I had that nightmare once. Our dream was taken from us by someone we never met, someone who could care less that the website they ruined for us helped put food in our kids’ mouths. I tried to describe what happened to us, in hopes it might convince others to take action so it wouldn’t happen to them. My goal in writing the post for James was to convince her readers that the threat of someone breaking into your blog and destroying what you’ve worked so hard at building is real. In fact, it happens all the time. And it’s getting more and more common. When I told the “why,” the “how” became easy to sell. The truth is, I’ll never be a great copywriter. I’m just a guy who wants to help people, and to sell some copies of my ebook. But my understanding of marketing changed when I understood why emotion matters. When you’re getting out there and trying to sell your product or service, you’ve got to connect on a deeper level. We all hear how you should mention your product’s features, but you really need to glorify the benefits. But if that’s all you’re looking at, there’s one more piece of the puzzle missing. You can glorify the benefits of your product to customers all day long. And yeah, that might be good enough. But they also need to connect with you. If you can not only convey the benefits of your product or service, but also the passion you have to help your customers, especially if you tie that into your own personal story, then you’re that much closer to retiring to Hawaii. Since I know my limitations, I asked James to tell my story for me. Reading how James rewrote my own words made me realize just how complex attractive sales copywriting can be. It’s not only about conveying benefits. Nor is it about simply sparking an emotional response. In fact, it’s not “simply” anything. To me it’s almost like a mathematical formula (sorry, I have a minor in mathematics). Attractive sales copywriting is about making connections. Connecting features with benefits. Connecting your “why” story with their problem. Connecting desire to action. Since Copyblogger readers are some of the best copywriters around, I’d love to hear your thoughts. What other connections do you think are critical when we’re writing to persuade customers to buy? And how have you used emotion and storytelling to create a stronger message? Let us know in the comments. John Hoff isn’t a copywriter, but he does blog for a hosting company, WP Blog Host and has created a free video mini course on how to secure WordPress from unwanted intruders. He really, really, really hates hackers. Shane, now you’re speaking my language. That’s awesome. It’s like selling…You have to sell with emotions not features. Now, let me go check out what you put together. It’s not about you, not at all. If you are talking about what you offer, you are thinking about it wrong. Talk about them, clearly understand their pain, and communicate succinctly how you can help to heal it. Take yourself out of the equation. It’s funny how the world of “selling” and entrepreneurship is all connected in pretty much any profession you do. A while back, I use to flip houses. When looking at the purchase, renovation, and selling of the house, I in no way could be in the equation. It was about buying, building, and selling starting with your end result first. If the house was close to a school, my Craigslist advert would read something like this: “Mom can sleep late, walking distance to school”, and I’d try to find those people who that might interest. You communicate a clear understanding of needs – not a fumbled and forced: “Is this you?” Q and A scenario, and it works. When talking about how to help people make healthy changes in their lifestyle behaviors, I became more successful when I realized that facts don’t change behaviors…but emotions do. This led to my second realization. If you make your story personal, people relate more and trust you more. You’re right, facts don’t. Unfortunately, although emotions, benefits, and connections definitely do a better job, there’s one all mighty thing which really helps you to make more sales…. bad experiences and a craving desire to get that nightmare to never happen again. and you know what makes me the most sells? The person who comes to me because they already had the nightmare happen to them and they want to prevent it. The emotional, personalized story definitely helps to get the point across. I do this all the time, especially when it comes to security and authenticity. The fact is, people respond more to personal stories, especially in business, where they don’t want to fall victim to the same threats the author faced. Great post! And very, very true. John, it is really amazing when you relate emotion in writing. But from my experience, it is challenging because we need to “feel” it before we can even write. I really love your explanation about connection and the F.A.B (Future, Advantage, Benefit) formula. But I have one question for you. Is the formula relevant for writing such a normal blog post? Because from what I’ve learned, this formula is basically focus on selling. Well that’s what this post was mostly about, selling. As far as a normal blog post, I guess that depends on how you define “normal”. In general, I’d say if you’re trying to get someone who reads your blog to do something, it helps if you can convey those ideas to them because it helps the “what’s in it for me” factor. Looking forward to receive another valuable guest post from you. Effective copywriting is about understanding your audience well enough to offer solutions to their problems…often before they have consciously identified them as problems. By showing that you not only understand the issues they’re facing but also are able to offer practical solutions, you create a deep connection and add value. Copywriting is anything but simple.. I just put together an offer for my new training course on creating marketing funnels and I re-did my entire sales message from scratch after I saw how cold and disconnected it came out.. I ended up doing an audio where I described my struggle and frustrations and how I can help them get the same clarity and focus that changed everything for me.. I think it’s more of a gut feeling when you create a sales message that connects on a more deeper level than just features and benefits..
but to your point, as a developer, I agree, security is very important and sometimes the smallest change to the default install could make a difference. Definitely. Great copywriting with a touch of emotion is a skill all on its own. So the tech guy (or gal) needs two skills. I am a disciple of emotional storytelling. Emotions are the ultimate psychological hack. I don’t understand why yo see people shrinking away from emotional selling in favor of a dry facts-based approach. Sure emotional selling gone bad is hype but done right it’s magical. I like the point you made about using your personal experiences to help shape how you tell your story for the customer. I heard once that a story give the reader the ability to reproduce the experience in their mind and experience it alongside you. That’s gotta be the ultimate rapport building tool. I experienced emotions bind people to read the complete post as it is clear from your post.It increases trust in readers mind. Emotional stories rock planets, that’s for sure. If you manage to tell one, you are in for a big impact. But something that helps me as well is to be honest. Everyone tries to have that slick, perfect online image, and it feels fake. I always present my entire character in everything I do, and that gives me the extra emotional connection that most people lack online. Gary V. is a master of this – they way he interacts with his community is genuine and human. That’s why has no trouble selling his book. Good points. Telling stories is a great technique to connect with readers. I love content that has lots of case studies – the story of how that business was successful. MarketingShepa does that well. Absolutely. A well-told story is what drives a point home and makes it memorable. I find that it also helps me when conveying the story to someone else, so you’re really encouraging people to share information when it’s told in story form, as opposed to relaying a group of facts. A great reminder for me as I begin my own blog, and very timely. Thanks. Spot on ideas. I remind clients (and myself!) that one’s writing should be a one-to-one conversation with the reader. Most live conversations we engage in are laced with emotion, stories, expression. It follows, then, that writing that sparkles use the best of our spoken thoughts, with a bit of editing to make it all flow. It’s that skill (like you mention in the last part of your quote) in between which we really have to work at, isn’t it. I’ve got my voice; got the stories; got my emotions in line; but now I need to put it in a way that the reader doesn’t click away… even if they’re interested. Interest needs to lead to desire, not the “Get me outta here” button. Who wants to buy features? Are you willing to buy the feeling of how you will enjoy the „thing” or what? John, outstanding points. I’m always trying to add the “why” in a majority of my blog posts. When I have something to sell, I can see how using it in my copy would be beneficial. Hi Todd. Another thing I do aside from the WordPress security stuff and blogging is niche marketing, and boy do you really need to do a little research to better understand your customer when it’s in a field you’re not so dialed into. Here’s a little thing I do which sometimes helps me gain a much better insight to my potential customer’s thought process. It can also help you figure out what their “why” issue is. Then solve each of them. I work for a building material distributor, a small-town “home depot” equivalent, if you’d like. One of the HARDEST things to do for me is to connect with the end-user (the homeowner) about why the product they’re buying is what they need. In my industry, we fight so hard over price, that the true value of products gets lost. How do we compel the builder (who has no REAL connection with the home/product after it’s sold) that the product or service their buying is better through storytelling? Thanks for putting me in the right direction John! Back in the day, I did door-to-door lead collection for Servomatic Solar in Austex. I asked one of the sales reps (a jazz clarinetist recently relocated) how in the world he sold those things. He said it wasn’t that hard. You just had to remember to sell “safe, environmentally friendly hot water for the whole family.” Not solar water heaters. Nobody cares about solar water heaters. Except solar water heater companies. My own suspicion (after talking to one of the plumbers) is that the brand new, super efficient, insulated water heater they installed “as a bonus” had as much to do with lowering electric bills as any contraptions they put on a roof. There’s probably a marketing lesson there. Maybe several. That resonates Dave. The direction we’ve been trying to sell is “Helping you build your American Dream”…but maybe the problem is that we’re trying to sell people a luxury, when in fact, it should be marketed as a necessity. Thanks for sharing the wisdom! That’s a good question, Chase. Dave made some great points. When I read Purple Cow by Seth Godin I’ll always remember one analogy he made near the beginning of the book. Loafs of bread use to be sold as a solid loaf (not sliced). In 1912 someone tried selling “sliced bread”, but it never took off. Then one of the bread companies (like Wonder Bread or something) decided to give it a try, but their message was different. They didn’t sell “sliced bread”, they sold “builds strong bodies twelve ways”. I’ll have to check out Purple Cow. If someone can tell a story that I can related to via shared emotions, I naturally tune in to the rest of their message, even when they’re selling something. I try to keep this in mind when I’m doing any kind of writing. Seeing your post reminds me that someone suggested that I beg you to do a guest post for Virgin Blogger Notes on WordPress security. I do need to write you a note about that but it may take me some time to come up with an emotionally compelling story! Sounds good, Jean. You know how to find me. Couldn’t have said it better myself. I’m forming a workshop for news writers who need practice in development/impact writing, where emotion is critical. I’m pointing them this way! I read the pencil-whipped copy James put together for you. I now have the willies. Well, and I just looked up the UrbanDictionary definition of ‘pencil-whipped’ and I’m sitting here all red-faced. I was about to call my newly-minted company Pencil Whippers. Guess I’ll leave off that. Pencil Whippers, that’s pretty funny. I think “QWERTY-whippers” would be an excellent new word in the urban dictionary. I really like this article. I also understand the importance of emotions more based on some research by a guy name Antonio Damasio who is a neuroscientist at the University of Southern California. You can read more about him here — http://en.wikipedia.org/wiki/Antonio_Damasio. One of his studies was related to how important emotions were to decision making. He studied people who had suffered strokes that damaged the parts of their brains related to emotions. This left the people unable to experience emotions on a normal level. Surprisingly, these people could no longer make normal, every day decisions. Losing the function of their emotions left them incredibly indecisive. They couldn’t make decisions about things like what to eat or what to wear, etc. The connection here is that decision-making is closely tied to emotions. Before reading this study I would have thought that reasoning was the most important factor in making a decision. A person rationally considers the choices available and then makes a decision. On the contrary, what people want (emotions) is more important than what they think (mental). Obviously, what they think related to the choices and the costs and benefits affects how they feel (emotions), but in the end, emotions are the most important to decision making. We ultimately choose what we want, and what we want helps us to choose. Does anyone else have any experience with this or have you heard of this study before? Joseph, I remember reading about those studies and being fascinated. like you, I thought decision-making was primarily a rational process. Nope. Sonia, thanks for the response. Any other books or studies you would recommend? That sounds like a great post. I’ll keep my eyes out for it. You also might want to look at the literature on autism. Easy reading– an autobiographical story–try Temple Grandin’s “Thinking in Pictures” and Donna Williams (she has several books). For straight research –well there is lots on that too. Check out Aut-Com (the books they recommend have a strong value base). And then there is also the Emotional IQ literature. The emotional IQ literature is definitely something I should check out more. However, I’m missing the connection with autism and marketing. Can you make that connection for me? Worth looking at some of his teachings. He’s definitely one of the pioneers of the marketing funnel concept. He came up with the idea of AIDA which is what he considered were the 4 stages people were thought to progress through. Thanks John, I’ll check that out when I get the chance. I’m a little new to the marketing game, and I haven’t heard of Elias St. Elmo Lewis yet. Have you heard of Paco Underhill? He has a great book titled “Why We Buy.” He uses time lapse cameras to study different retail and social environments, and in one of the chapters, he use them to show that people like parks where they are around other people more than parks where no other people are. This shows people’s desire for community, and community is one of the reasons I think Starbucks was such a big success. Starbucks provides community for people, and that’s why they like it. Maybe this is common sense, but those are the dots that I connected. I’m getting ready to move and do a complete revamp of my website, but rather than rush, I’ve taken a few weeks to first read and think about what I want to accomplish. Reading this post, John, has helped me to clarify the approach I will use when I rewrite my content. Having written hundreds of utilitarian content articles (because that’s what the customer ordered), I had set aside my own, more empathic, voice. Happily, if I want to build my business, I’m now convinced it’s time to reclaim it. The best advice I ever received was to be myself. Whenever I stood by that advice, I did well. But writing in the objective voice of a reporter (though that voice has a place) is not me. Time to get back to me, I think. On another note, story is part of the way human beings remember. When you write to appeal to the emotions, you are in effect creating a story–and that will help clients and buyers not only to click on the “Buy Now” button, but to remember you later on. And Carol, something I’ve learned over the years… nothing beats a real attempt at market research. If you want to accomplish your goals, don’t do the hit and miss method. Success is usually planned and plotted very precisely. Good for you for taking the time to really do your due diligence. We might learn from our mistakes, but with great research and intelligence, hopefully we can not make as many. Probably my top 3 market research tools are Google, Amazon.com, and Clickbank. I adore stories; listening to them, reading them and writing them. The funny thing is, until I stared blogging, I had half a novel written and was full of dreams of becoming the next JK Rowling. But all that is on ice as I’m having such a blast online instead. What I love about your story John is how, with a little bit of thought, you were able to find the story in your post for James. Proof that there is a great story behind everything, even the stuff that might seem dry at first glance. Stories are what really connect us to the words on a screen or page. Drama, suspense, anger, curiosity… that’s what compels us to keep reading. “Man jailed for violating housing association” is not a story. “Man jailed for brown lawn” is. Laughing. Back when a housing association had anything to do with my life, I would definitely have considered violating some of them. One thing I like about John’s story is to show that a powerful story, told from your own heart to the heart of the customer, can make up for a lot of lack of traditional ‘salesmanship.’ The way I’ve heard some salespeople express it is to put yourself “on the same side of the desk” as the customer. Sometimes I wonder if copywriting is a gift like how some athletes are given. I feel for you brother, I know how it is when your site and all the hard work that was put into it is lost because of someone getting there kicks at your expense. Site security is an issue, always has been. When my wife (Helen) and I owned and opperated a small ISP and web hosting company “Ulltra Internet” from 1999 to 2001 we were hack several times. We had to outsource our security issues to a good friend from Illinois. Since I started my blog I have had to learn about WP security and believe me it isn’t the content is dryer than a desert storm in Yuma. I am going to check out your site and get your book. Most blog articles you read online about WordPress security is quite, umm… arid. Without trying to sound like I’m trying to push my ebook, but that is why I spent a great deal amount of time making sure it didn’t read like that desert you talk about. The subject can get that way real fast. That’s just like car salesman, who always use others’ emotions to get the desired effect. Why not do the same thing with writing if it’s applicable. Why is the single MOST important part of all great businesses. In a world of commodities, the WHY makes all the difference. 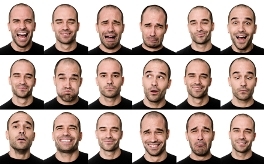 People are moved by their emotional brain and the WHY moves emotions. Unfortunately the WHY is very hard for most people to articulate and even harder to write about, even though it forms the core of every decision we make. One area the WHY makes a huge difference in is in social media. I once did a consulting project for a major brand on using social media. The core idea was WHY should anyone care about this brand and more importantly the people behind it. In other words, WHY does this company exist at all. I will say from my experience the focus on the WHY and then leveraging social media to build the case for WHY was huge for this client. It changed the “marketing speak” to something that connected with people online. As a resource on the subject, check out the book “Start With Why” by Simon Sinek. He built an entire business out of the WHY and I personally think he is brilliant on the subject. Why you do what you do can bring clarity to actions and focus to relationships. It helps filter the noise and simplifies the messaging. I can vouch for Simon’s book. He’s got a great blog too. You know who else really knows the “why” term… my kids LOL. I honestly can’t see anything else. Once you understand your audience the best way to connect with them is 100% the WHY of your product or service. First explain the why in the beginning of the copy and then go into the what. Then at the end of the copy recap the why and explain how to order for more information! I’m no copywriter – yet: I’m working on it! One thing I’ve learned already is to say what I mean which is something John Hoff seems still to need to grasp. Otherwise why does he talk about someone who “could care less” (translation: “must care a bit, maybe quite a lot because he could reduce it”) when clearly he means this guy is caring so little that he “couldn’t, possibly, care any less” ? Sorry Viv, that was a typo. I meant to use, couldn’t. Thanks for pointing it out. Oh man. My brain hurts. I still need to improve my craft, as often times, getting too emotional on my posts has become quite common. Especially on the topics I’m really passionate about. You are so right, adding a personal story, a little emotion, will get a person to understand the why and at the same time feel the need. The person is able to make a connection with the author because they have felt the same way. This technique can open many doors and I believe can be used in any type of writing. Thanks so much for the idea. Writing emotions can be hard. But People like the emotional stories or experiences. Thus share your emotional experiences to get success. And sorry to hear about the site that got ruined. While telling that story you made me think about blog security … so goal achieved. Regardless of what any of us are selling it’s stories that will capture hearts … stories that help people connect and identify with you … stories that show you understand their problems … and stories that show how you have solved them [with all the confusion and excitement that ensues]. It’s about being brave enough to speak with your own voice … being human and vulnerable. When you connect to peoples hearts you can then move them to their heads … and let them know the solutions that your product or service can bring into their lives. Oh yeh … and linked to all that … you need to really believe in what your product/service does. People know when they’re being conned. Just went over to you site [nice vid … very welcoming] and have signed up for the free minicourse. My brother Marc and I are launching our Life Dreaming blog in a few weeks and you made me think about security. I’ll be sending the link across to Marc as he’s the techie genius … and we’ll listen to whatever advice you share in the vids. I do not want anyone to hack into the blog as we’ve [like most bloggers] put a lot of time [and heart] into designing and building it. Hey it’s my pleasure liz and just hit the reply on any of the emails if you have a question. You know what the enemy of blog security is? Procrastination. I’m glad to see you’re thinking proactively. And per your other comment, you’re right. If you can convey your passion for your product or service, that can really help with convincing people to buy. I really like how you “connected” the dots. Leading with your “why” is a sure-fire way to connect with skill rather than luck into success. It’s a very nice idea,people like emotional stories. Brilliant article! Thank you for your post. I am in the promotional merchandise business and have been blogging about my products for some time. You can only write so much about a promotional pen before you begin to feel like you are repeating yourself. You have offered me a new angle for my writing. I have heard and also experienced a few horror stories over the years which I think my customers will find of interest. I also know how promotional merchandise has helped many large and small businesses achieve their marketing goals. Thanks John. It’s story time! Hi John, Thanks for a thought provoking post! The “Whys” certainly help reach out to the customer’s heart rather than head especially if it sounds like the customer is missing something by not responding. Something which could aid or lack of which hinders one’s interests. In my experience the best way to connect with customers, which translates desire into action, are the past connections like testimonials and recommendations of past customers which lends credibility and create a favorable impression of delivering on what you say. Hi Nathan. In addition to that, what I’ve found turns desires into action and “extremely need right now” is when something bad has happened to the person and has caused them some kind of pain. For example, I’m sure most bloggers would agree that blog security is important and would be a good thing to implement; however, how many people actually take the time to implement all the changes? There’s interest and maybe a little desire, but no action. But… let their blog get hacked and removed from Google because Google says, “Hey, your site is a spam site, you’re off our list”… and see what happens. Interest and desires turn into action. It’s unfortunate, but is true. Wow “James” has a pretty remarkable story. More power to her that she was able to turn things to her favour. I’m off to go check out what she wrote about you. Sounds like a great and necessary product. Hey I would like to take a moment and thank everyone here for your comments. I’d also like to give a special thank you to Brian and Sonia for letting me post a guest article. I’ve been following Copyblogger since 2007 and Brian, it’s an honor of mine to of posted a guest article. I first learned about you when Seth Godin sent out a link to your Magnetic headlines and I was quickly hooked. I like to use emotions and storytelling with everyday things and then take them waay out of context. Today I’m talking about my dog’s ear infection. A month ago it was about the world’s oldest shoe. They want to be entertained in a practical way that can teach them something in the process. On average, most people’s lives are a little humdrum, so if you can taser that experience with a little entertaining story that they can relate to, you can add your marketing message and you occasionally get to sell some stuff. We are all swayed by our emotions and will ignore the facts if they get in the way. Difficult to get emotions into WordPress security but I thought that the story about your wife’s blog being hijacked was pretty powerful. Great quotes Keith. “Facts tell, emotions sell”… I like that. Your kind words have helped… but John’s comments just go on and on and….. I think you can actually be too emotional when writing, if you ever find my personal blog you will see what I mean. The trick is to be able to keep a balance. please email me -I would greatly appreciate it. Great post John. You “say” you are not a copywriter – but you are a storyteller. You write as I would imagine you speak which brings your content to a peer level – you are speaking WITH us not TO us. The emotion you write about is simply appealing to the human side of your readers. By letting them know how your content can or does affect THEM, you are adding value to your content for your reader. It is no different than marketing a business. A company’s message needs to address two simple questions in order to be effective. 1) Who are you? and 2) Why should I care? Bottom line which is part of human nature is” “What’s in it for me”?. My pleasure, Julie. And you’re right on, those are always the questions to keep in mind. I found the story about what happened to your wife far more engaging than your background (sorry). Have you considered opening with what happened first before sharing your background? After all, her loss is the reason why you created this product. Hi Alex, it’s all good…but also pretty funny. Actually, yes the video and mini course on the site is new. Before that the home page was the product sales page which started right off with my wife’s story. But I’m all about testing. Thanks for the feedback, though 😉 I’ll keep that in mind. Question: Since you found the story more interesting, did it get you to buy the book? Or was it just a good story? Because ultimately, we’re wanting sales, right? I am not a target buyer so I passed. I was sharing what I’ve seen work in my launch business and my launch clients. Alex, that is an excellent point you made. Targeting the right people to tell your story to. I’ve found for this particular product that my target market really should be any WordPress blogger, but in fact the ones who buy are the ones who something has already happened to their site. John, thanks for this article. It serves as an excellent reminder that we should all not forget to TALK TO the reader and not talk AT them. Readers don’t care about us (nor should they) until we’ve reached them on a real, personal level. No substitution for passion and authenticity. You are suppose to connect an experience to the readers. While a story may pull their heartstrings, it is the experience you create in their mind of what they accomplish when owning the product that will make readers more impulsive to buy. When I buy a product, I picture the experience of having it before I even own it. That’s what convinces me to buy it even more. Everyone does this — whether they are aware of it or not. Emotional copy is just a part of it. There is a certain structure to it where it takes a person on the ride of what it will be like to have the product that will help them. To me, it amplifies the emotion… it enhances the story… it makes the benefits look like a godsend… and the features appear innovative… even though there may be similar products out there like it. It’s been done dozens of times over the decades by animators, comic book writers, speakers, and very few copywriters have blended this style into their writing. It’s a very cool technique that I don’t see enough of online and off. Bravo! As a newbie to this site and your widsom, I thank you – your article was a revelation to me – reiterating all I knew and forgot about connecting. Thanks for the refresher course! My pleasure, Cheryl. With so much information overload online, we all need refreshers and reminders, don’t we? Very interesting topic. I haven’t thought about it that way before. Very well worded.. “connecting” I personally don’t have any products to sell but this article definitely helped for my future articles. Hi Adam. My pleasure and don’t forget, when you decide to jump in and sell your own product, nothing… and I mean nothing… beats doing research. You’ve really got to work on researching your market, customers, competition, advertising, etc. before you jump in. I think this is an area which too many people take too lightly. I’ve even fallen short. Hey now that just made my day, Adam. The funny thing is, I myself have a role model and his name is Adam as well. Send me an email from my contact page and I’ll tell you about him. As for following me, you’ll probably be able to interact more by checking out my blog. SecureMyBlog.com is just a static HTML site. John I am late to the party but I am SO PROUD of you man! This is great! Thanks Darren. You’ve been an inspiration to me for awhile now. Finally, something simple and tangible that i can understand. I’m no copywriter either. And writing for my new blog has been a learning experience. I tried this exercise this morning.” I asked myself why to a particular question” and it made the story much more interesting, fun and easy to write.